Please enter the name(s) and date you would like on the card. 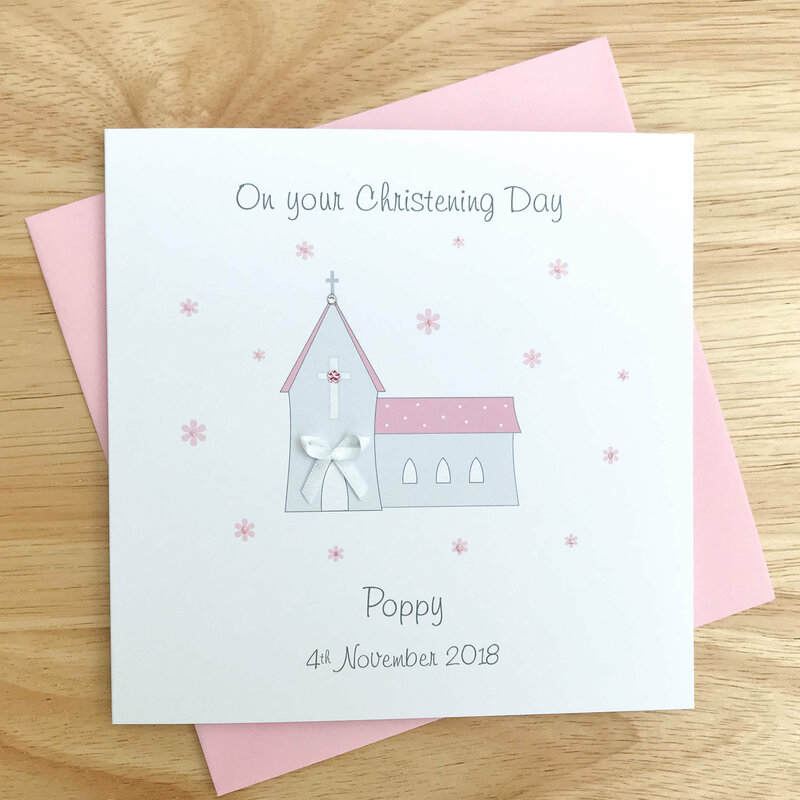 Handmade Christening card with church design. The church is surrounded by flowers with glitter sparkle. Decorated with gemstones and a ribbon bow. A name and date can be added to make it a truly personalised card. Envelope : A pink envelope is included with this card. If you would prefer a different colour just let us know with your order. This is a personalised card and can be changed to suit your requirements. All wording can be changed. 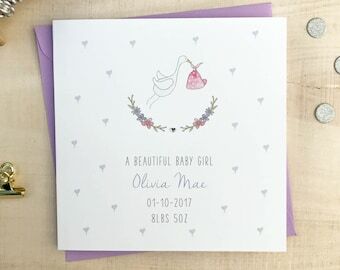 We will not make a card until we receive your full details for the cards or a message to tell us you do not require personalisation. Colours may vary on different monitors, the images shown are for guidance only. Beautifully personalised card for very little cost and shipped immediately. Definitely recommend. Thank you! Can you print a message inside the card? Yes, just add a note to your order or send me a message and I will print it inside.